A cold day with good friends. This particular morning was extremely cold and windy. We were running later than favorable and the stubble was short; which means we had to put extra effort into hiding the blinds. 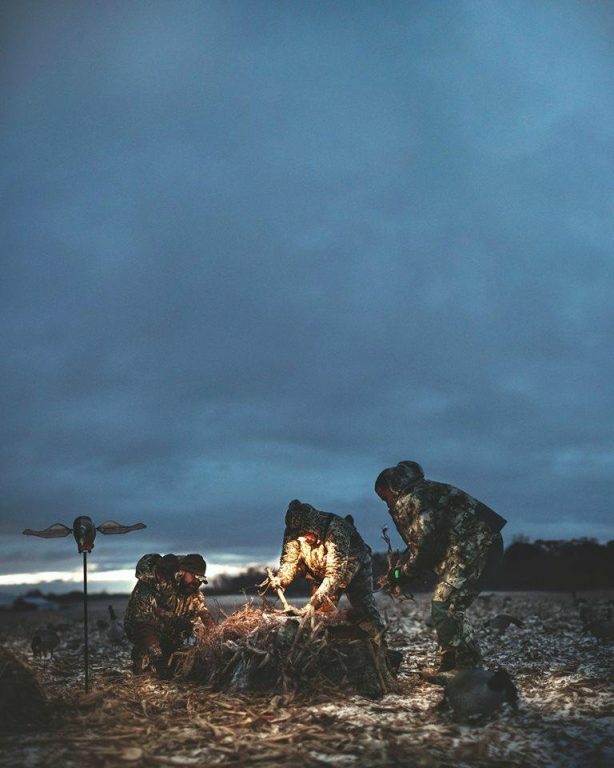 I like this photo because it shows the passion of waterfowl hunting. 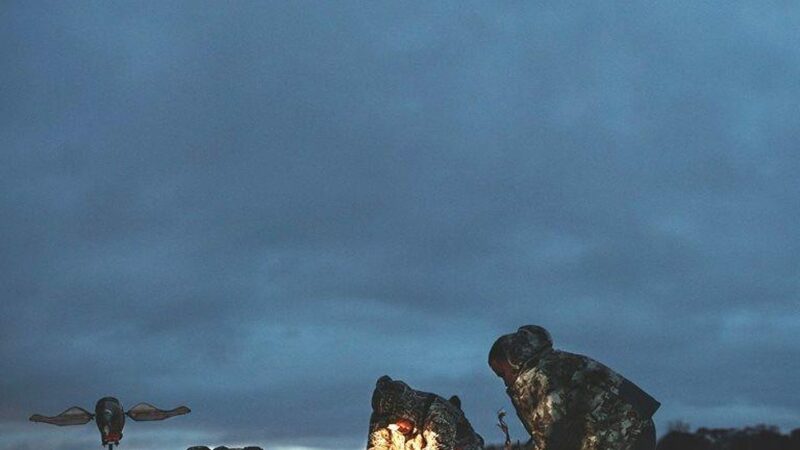 Regardless of the conditions, hunting buddies all work together for a common goal. Although said goal was not achieved (shooting geese), we had a great time full of camaraderie, tall tales, and laughter. And that is what hunting is all about. Photo notes: I’ve always been drawn to darker images. The lack of light draws you in while keeping attention on the subject and what’s happening. Still giving the shot a wide enough feel without a lot of distractions. I put emphasis on the blues and shadows in this shot to make it feel cold. The glow of the headlamp also adds a lot to the image by keeping the viewer focused on the action taking place.